Germaine Fry Murray, ed. A Critical Edition of John Beadle's A Journal or Diary of a Thankful Christian. (Renaissance Imagination.) New York and London: Garland Publishing, 1996. lxxi. 316 pp. $86. ISBN: 0-8153-5178-1. Objectives: The aim of this study was to obtain information on methods used to measure health technology assessment (HTA) influence, decisions that were influenced, and outcomes linked to HTA. Methods: Electronic databases were used to locate studies in which HTA influence had been demonstrated. Inclusion criteria were studies that reliably reported consideration by decision makers of HTA findings; comparative studies of technology use before and after HTA; and details of changes in policy, health outcomes, or research that could be credibly linked to an HTA. Results: Fifty-one studies were selected for review. Settings were national (24), regional (12), both national and regional (3) hospitals (9), and multinational (3). The most common approach to appraisal of influence was review of policy or administrative decisions following HTA recommendations (51 percent). Eighteen studies (35 percent) reported interview or survey findings, thirteen (26 percent) reviewed administrative data, and six considered the influence of primary studies. Of 142 decisions informed by HTA, the most common types were on routine clinical practice (67 percent of studies), coverage (63 percent), and program operation (37 percent). The most frequent indications of HTA influence were on decisions related to resource allocation (59 percent), change in practice pattern (31 percent), and incorporation of HTA details in reference material (18 percent). Few publications assessed the contribution of HTA to changing patient outcomes. Conclusions: The literature on HTA influence remains limited, with little on longer term effects on practice and outcomes. The reviewed publications indicated how HTA is being used in different settings and approaches to measuring its influence that might be more widely applied, such as surveys and monitoring administrative data. Native to temperate South America, deeproot sedge has naturalized throughout the southeastern United States. Often forming dense, homogenous stands, deeproot sedge has become widespread, invasive, and potentially harmful ecologically throughout the coastal prairie ecoregion of Texas. Possessing characteristics (rapid growth, generalized habitat requirements) of other weedy congeners (purple nutsedge and yellow nutsedge), its relatively recent expansion highlights the critical need to develop effective control techniques and strategies for this species throughout this endangered ecoregion. Research was performed to delineate total nonstructural carbohydrate (TNC) trends in deeproot sedge rhizomes for development of a phenologically based schedule for herbicide applications and mechanical treatments. Overall, TNC levels were greatest in May to August and lowest from October to January, regardless of study area. Apparently, deeproot sedge exerts little energy into seed production because TNC levels were continually replenished throughout the growing season. As such, foliar-herbicide application throughout the growing season should achieve total plant kill. Conversely, deeproot sedge rhizome TNC levels never fell below 30%, even during winter, which indicates that winter mechanical treatments or winter prescribed fires will not be effective because substantial rhizome reserves are present to support resprouting during the next growing season. Beyond a priori prevention, sequential herbicide applications combined with integrated, sequential, prescribed fire and herbicide treatments will be needed for long-term deeproot sedge control throughout its geographic range. On March 11, 2011, Japan experienced the largest earthquake in its history. The undersea earthquake launched a tsunami that inundated much of Japan's eastern coastline and damaged nuclear power plants, precipitating multiple reactor meltdowns. We examined open-source disaster situation reports, news accounts, and disaster-monitoring websites to gather event-specific data to conduct a trauma signature analysis of the event. The trauma signature analysis included a review of disaster situation reports; the construction of a hazard profile for the earthquake, tsunami, and radiation threats; enumeration of disaster stressors by disaster phase; identification of salient evidence-based psychological risk factors; summation of the trauma signature based on exposure to hazards, loss, and change; and review of the mental health and psychosocial support responses in relation to the analysis. Exposure to this triple-hazard event resulted in extensive damage, significant loss of life, and massive population displacement. Many citizens were exposed to multiple hazards. The extremity of these exposures was partially mitigated by Japan's timely, expert-coordinated, and unified activation of an evidence-based mental health response. The flora and fauna of Southeast Asia are exceptionally diverse. The region includes several terrestrial biodiversity hotspots and is the principal global hotspot for marine diversity, but it also faces the most intense challenges of the current global biodiversity crisis. 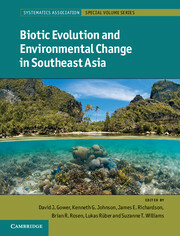 Providing reviews, syntheses and results of the latest research into Southeast Asian earth and organismal history, this book investigates the history, present and future of the fauna and flora of this bio- and geodiverse region. Leading authorities in the field explore key topics including palaeogeography, palaeoclimatology, biogeography, population genetics and conservation biology, illustrating research approaches and themes with spatially, taxonomically and methodologically focused case studies. The volume also presents methodological advances in population genetics and historical biogeography. Exploring the fascinating environmental and biotic histories of Southeast Asia, this is an ideal resource for graduate students and researchers as well as environmental NGOs.